All these editors support Clojure development. Use an editor you are familiar with or ask a coach for advice. Install guides are provided for all these editors. Atom.io is flexible and simple to use editor. The ProtoREPL plugin adds support for Clojure and ClojureScript. Proton offers a simple mnemonic menu as an alternative to the somewhat cumbersome keybindings in Atom.io. Proton also gives you a simple text configuration to manage all your packages quickly. Spacemacs is a community configuration bring Emacs and Vim together. Spacemacs uses a mnemonic menu system that makes it easy to learn. 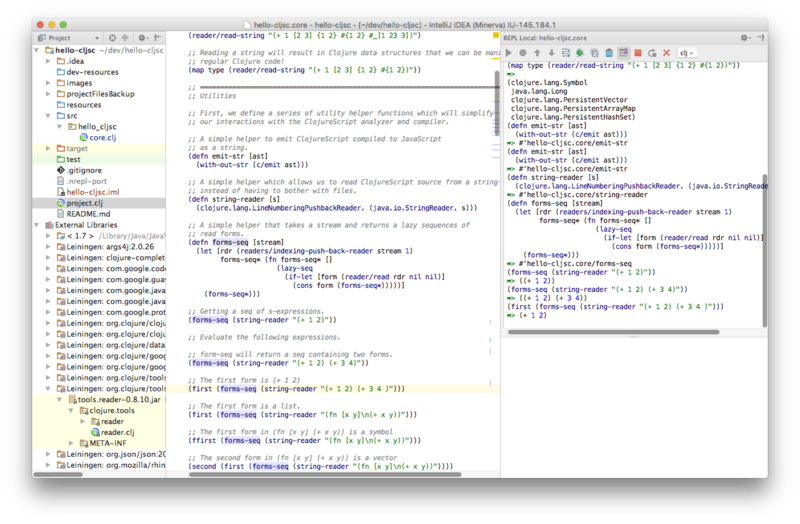 Spacemacs, Practicalli guides you through Clojure development, documenting with org-mode, Git version control with Magit, Vim editing modes and dozens of other features.